Automate Schema markup of the website. Save time implementing Schema markup more faster & more accurate. Note: Schema Pro is the advance version of the All-in-one Schema.org Rich Snippet. It is built from scratch according to the latest guidelines and technology. Both these plugins can be used simultaneously on a website. A Snippet can be defined as a small piece or an extract of content or details obtained from your website. 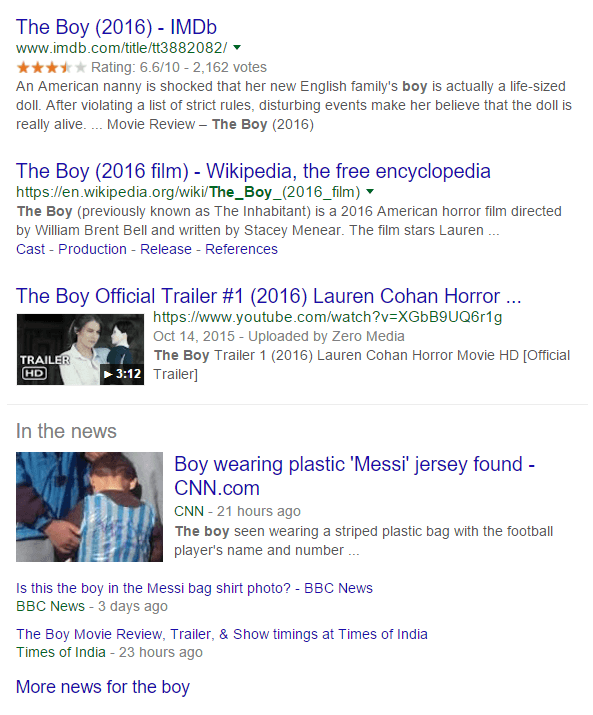 This is the first thing that appears to your users on the SERPs and therefore, has to contain the best, detailed information they might need. Does your Snippet speak the best about you and compel your visitors to click? Or does it allow them to prefer clicking on a link that ranks lower? In short, is your Snippet a usual one, or is it RICH! A Snippet that comprises of every minute detail a user looks out for is called a Rich Snippet. This might include a brief description of the page and its content, reviews and ratings, the price and availability of products and much more. Thus, giving a user an overview of the entire content on the page. Rich Snippets are the snippets that contain detailed information that helps users make the right click decisions. These snippets are pulled from specifically formatted data. Search engines do not favor any page in SERPs. They simply add all possible information that is available. Therefore, if you wish to create a structured snippet or a rich snippet, you need to include the required information on your page. With so many paid ads, videos and images ranking in SERPs, it is difficult to attract users with the plain old text that is shown in the in the normal Snippet area. What do you expect your user to understand from a simple Title, a page URL and a little description that speaks about the page. With artificial intelligence acting as the backbone, users trust Search engines and therefore believe that majority of the results obtained are relevant to the query they have entered. Therefore, all the links are quite similar. What makes your page stand out among the others? Why would a user click on your page? Did the other users like your page and share their views? Have they rated the information that you have shared? Do you have many more options your user might love? Are you displaying the price and availability of your product? Highlighting these, and many more in the Snippet can help you attract a user. Let us take a practical example. When searched for a “Chocolate cake recipe”, as usual, I found a number of results. Let us consider the two seen in the image above. Which one would you click on? The first one that simply gives you a recipe, or the second one which real people have actually tried implemented, have posted reviews and rated it too! Breadcrumbs: The breadcrumb trail indicates the page’s position in the site hierarchy. Users can directly access the page or navigate all the way up, one level at a time. Events: These rich snippets focus on the events that may be organized in a locality. They display details such as the Date, the Event name and the venue. Organizations: Such rich snippets can be used to display the organizations or the company’s contact details. Such snippets are displayed in the Knowledge panel sometimes. Products: You can use the product based rich snippet to display product details, such as the price, the availability, review and ratings. Recipes: You can use rich snippets for recipes that include information such as preparation and cooking time, nutritional values and reviews and ratings. Reviews and Ratings: One among the important elements in a rich snippet is the review and ratings section. This gives the audience an overview of how the product, page or content is performing. This statistics helps them to make the right decision, by clicking on the most preferred link. The highlighted area tell you that the recipe received a 4.7 rating out of 5, on the basis of 36 votes. Software applications: Pages that may contain some information about software applications, may be recognized as pages that speak about apps. Videos:Videos are usually displayed in a rich snippet. They may contain a thumbnail image, the description, duration, upload date and more. 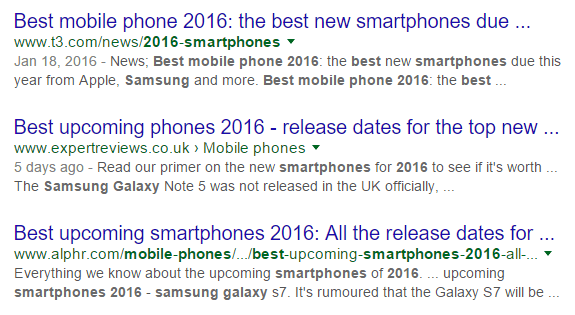 Rich snippets are indeed the best to help you flaunt your webpage within a small space that you get in SERPs. Search Engines give you enough exposure by including all necessary details in the snippet. Users would love to click on a link that gives a brief idea about what they can expect within. Rich Snippets can be framed differently for different types of content. Use them to highlight your strengths; the qualities your audiences are looking out for!